Gambian deputies have thrown their backing for the country to return to the Commonwealth. A motion to re-enter the 52-member country organisation tabled before parliament by foreign affairs minister Ousainou Darboe, was unanimously endorsed this week. 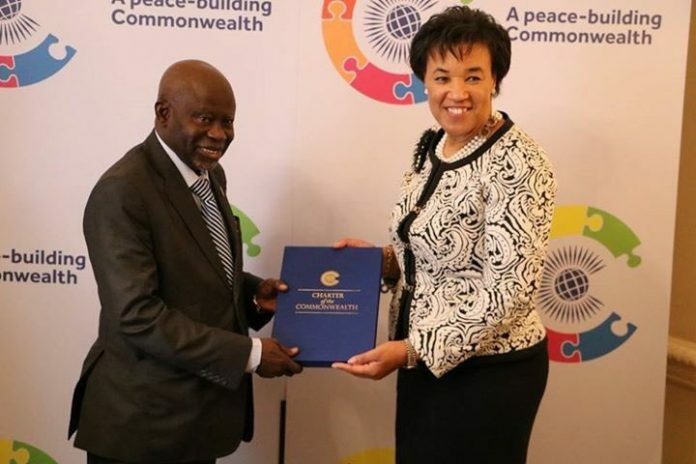 Gambia ceased to be a member of the Commonwealth after exiled former president Yahya Jammeh made a controversial decision to opt out of the set up four years ago. The 52-year-old ex- head of state cited neo-colonialism as reason for his withdrawal – a thing that, at the time, won him few cheers from Pan Africanists. However, the move had with it shortcomings which deprived citizens of benefits that came with being a CW member. Athlete Lamin Sanneh who was being prepared for the Commonwealth Games in Glasgow during that period had to pull out the Games following Jammeh’s declaration. But in a push to end that, parliamentarians gave an affirmative nod to attempts for Gambia’s re-admission into the CW. The development reels in just eleven months after UK Secretary Bori Johnson paid a visit to Banjul to discuss a similar thing with then president-elect Barrow. Gambia is targeting return to the Commonwealth before April 2018.